Arbit wrote: Right now India is going through a churn and foreign missionaries have become hyper-active. Gone are the days when they converted one person at a time. They now convert entire communities or even towns. Hindu Gurus are fighting back. So the missionaries are targeting them. Modus operandi is to fund NGOs run by Indians to do the dirty work. Of course, some cases against Gurus are valid, while others are fake. It is important to get some cases right even if those Gurus are not objecting to conversions because that makes the other cases look credible. We should not exclude from the list of suspect institutions the United Nations or the United Nations (UN) working with the Vatican. Historically, the Knights Templars were never disbanded when they were forced out of France. They were also not separated from the Vatican (Chevyken, 2013). The Templars created Switzerland, created the UN and similar organizations. Swiss banks, many UN type organizations are headquarters in Switzerland is no coincidence. The money trail and power trail flows from Switzerland to other centers of the world. The Templars also have their headquarters in Switzerland, including commandaries. 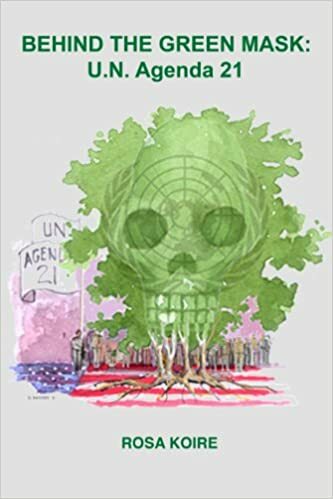 The UN (2015) has been implementing its Agenda 21, including their plan of one world government. We must not underestimate the connection between the BKs and the UN. It was the Vatican who influenced the Regan Administration to neutralized Rajnesh and also urged the Clinton Administration to eliminate the Branch Davidian Cult. I think the BKs have made a pact with the Templars. Some latter day Templars such as the Rockefeller would like to see a marked reduction in the global population of humans. The BKs will find the means to neutralize individuals or institutions whom they feel will get in the way of their mission. The BKs share many ideas to those of the UN Agenda 21. Sir Ian Fleming (Chatzefratz, 2014) in 007 novels and movies have been codes warning us of the destructive powers of the Templars of the modern and post modern era who share many ideas with the BKs (Happy Transfer, 2011). James Bond, 007 represent a hybrid of Fleming's alter ego, his life as a spy for British Naval Intelligence and World War II spies such as Harry Chapman or the Man called Intrepid. Agent OO7, is not Dada Lekraj as some BKs in their fairy tale, infantile fantasizing would like us to think or dream. But ... if Ian Fleming was part of this secret kabal, why write popular novels with clues to what they are doing? Isn’t he risking exposure of the whole game? Rhetorical question really. The idea of Templar influence down through the ages is fascinating - they were after all influential in authorising, and thereby protecting to this day, my favourite drop - Commandaria - "the world's oldest named wine still in production” using the even older, in fact the oldest, known winemaking technique dating back at least to the time of Hesiod in 800BC. So they are not all bad! And in the sixth briskly yourself employ, To cask the Gift of Bacchus, Sire of Joy." ex-l, all the current publicity and media reports about powerful men abusing their power over women (and men and children) hopefully may see a #metoo movement begin in India? Pink, Thank you for your response and question. Fleming was not allowed by Deep State to tell all. James Bond was an ornithologist in the West Indies, who was a great friend of Sir Ian. However, the name James Bond is a secret code name for two sectors of the Templars. In terms of the BKs and the UN, BKs are part of the green mask and hiding behind the green mask (Koire, 2011). I thank this site for converting my post into a topic. It is an important topic. I think I can support my assertions with evidence. The BKs are following a Templar script, especially in terms of Agenda 21 of the UN. However, many of the BK philosophical concepts are the opposite of Templar concepts, though BKSO is under the Templar umbrella. For example, Adam is not Dada Lekraj. Adam is one of the incarnations of Jesus. The BKs regard the time line of the Egyptian pyramids and pharaonic dynasties as Copper Aged. While the descendants of the Templars took knowledge from the Vedas and other Hindu holy book to create modern science and medicine, that which they unearthed in their secret missions to the Middle East during the Crusades have had and continue to have great influences on our lives to these post modern times. As a group behind the mask of UN Agenda 21, BKSO has a monopoly on corrupted Godly knowledge and not a monopoly on God Almighty. The UN, the BKs and the Knights Templar are all blips in time and we need perspective. I think this is all best discussed after finding yourself an importer of Cypriot wines then do some repeated sampling of the magic that is Commandaria, Dionysus’s gift to the island of Aphrodite, and Cyprus’s gift to the world for over 3000 years . Take the long view. Pink, the global community has to be wary of a cult, which took almost the first row seat when the minute hand Doomsday Clock almost jumped to 0-1 minute to mid-night in November 1978. The Jonestown incident in Guyana, a false flag operation created by Deep State, almost resulted in a nuclear confrontation between the USSR and the USA.